System-on-modules are normally used in low volume embedded systems, but they can also be used in microservers, for example to upgrade capacity as needed. 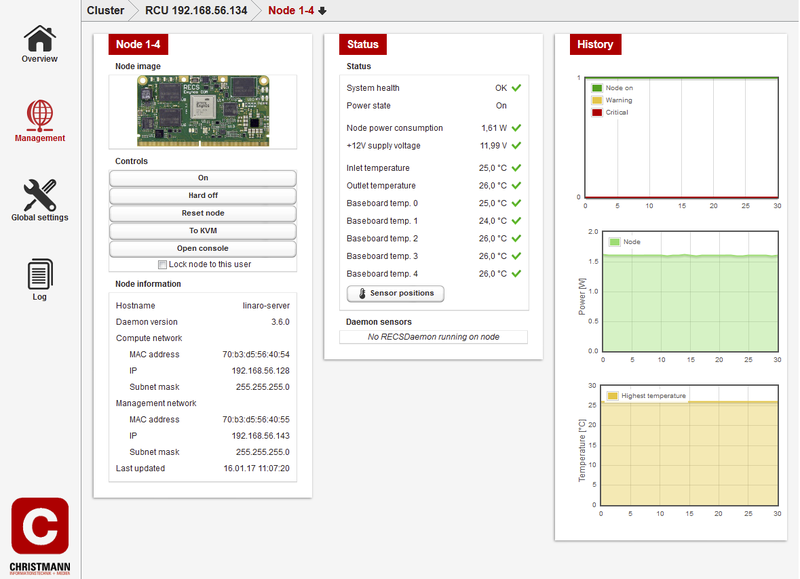 Christmann informationstechnik + medien GmbH has developed a microserver evaluation kit taking up to 4 Toradex Apalis SoMs for example based on Nvidia Tegra K1 processor, and also offers full rack systems with up to 72 modules. The evaluation kit includes an Atlas board with an acrylic base plate and 2 fans, a power supply, a micro USB cable, and an Apalis baseboard, but Apalis modules, which could have to purchase separately with a choice of NXP i.MX6, Nvidia Tegra 3, or Tegra K1 processor. Toradex is also working on an NXP i.MX8 version of their Apalis module, and Christmann appears to have designed their own Apalis compliant SoM based on Samsung Exynos 5250. There’s no mention about the operating systems to run on the module, but the company provides “RECS Master” monitoring software running on your computer. RECS|Box Atlas Quad Apalis platform is sold for 1,275 Euros (without the modules), and once you are happy with your evaluation, you may select rack systems such as RECS|Box Antares and Arneb 19” which can run 24 and 72 Apalis System on Modules respectively in a cluster configuration. If you prefer x86 (or FPGA) servers, the company also provides eval kit and servers taking COM Express modules. You’ll find more info on Christmann informationstechnik + medien’s embedded website.